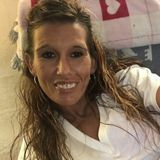 Want to connect with Rosemarie? I hope you are having a good day. I am seeking a medical assistant placement in Terre Haute, Indiana. I strive to be a well Trained, accountable employee. Flexible scheduling for clients. I have experience with post operation care, assessments, and respite work. On top of this, I have a drivers license. With respect to prior experience, I have extensive prior history in the role.